Last season, the New York Islanders totaled only 80 points in the standings ending up with a seventh-place finish in the Metropolitan Division and missing the playoffs for the second straight year. Despite a respectably strong offensive showing with 264 goals for, they were unable to keep enough pucks out of their own net to avoid finishing dead last in the goals against category at 293. 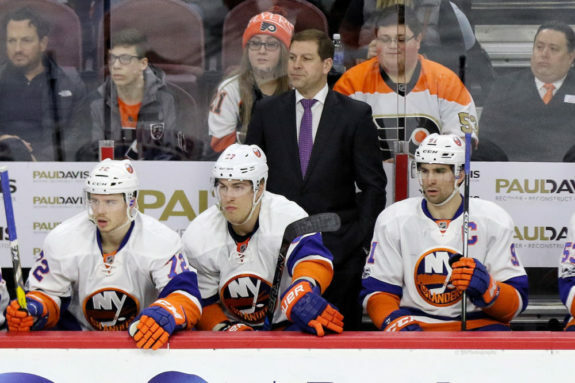 At the start of the season, Islanders’ management, the coaching staff, and the fans were all aware that the team was light on experience in their defensive zone. Youngsters Adam Pelech, Ryan Pulock, and Scott Mayfield had only a combined 105 games of NHL play among them. Yet they were all expected to cover a good chunk of the ice time during the 2017-18 season. That expectation increased after a season-ending shoulder injury took top-four defenseman Calvin de Haan out of the mix after just 33 games. And after a somewhat competitive start, (the team was 15-7-3 through the end of November) things began to go off the rails. While it would be easy to place the blame for giving up so many goals on the Islanders’ defensemen (and indeed, many people have), hockey is a team sport. As new general manager Lou Lamoriello said after the Isles lost star John Tavares in free agency, “The one thing I’ve always said, and I’ve said it repeatedly, individual players win games but teams win championships.” The same holds true on the opposite side of that statement. Teams that don’t have their act together are collectively responsible for their losses. How bad was the Islanders’ season on the defensive side of the puck? It was pretty bad. Besides finishing last in overall goals against, the team was also last in a number of related categories. They finished last in goals against per game (3.57). They were also last in total shots against (2705), and shots against per game (35.6). All those shots put a lot of pressure on the goaltenders. For the Islanders to expect to win while giving up so many shots, their goaltenders needed to turn in hero-like performances on a nightly basis. That is a lot to ask over the course of an 82-game season. Neither Jaroslav Halak nor Thomas Greiss was up to the task. By the middle of March, things had really gotten out of hand. The Islanders had to play back-to-back games against their division rivals, the Washington Capitals, on Mar. 15 and 16. By this time, the Capitals were well on their way to winning the division, and ultimately, the Stanley Cup. The first of the two games was a 7-3 Islanders home loss at the Barclays Center. The next night in Washington, the Islanders came out on the losing end again, this time by a score of 6-3. Giving up 293 goals to finish last in the league was truly a collective effort. The defensemen certainly hold a piece of the blame, but it is not entirely on them. Here is a look at some of the other parties who contributed to this dubious distinction. Guess who finished last in the league in penalty killing in 2017-18? Yes, it was the Islanders at 73.2%. They struggled and gave up a lot of the goals on the power play. 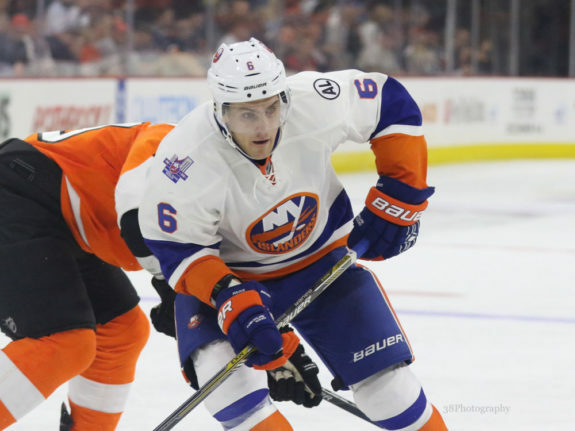 It didn’t help that they lost one of their key penalty killers, Nikolay Kulemin, who only played the first thirteen games of the season before going down with an injury. The Islanders power play operated at a 23.2% success rate last season. That was good for sixth-best overall. But the unit also tended to get careless at times, giving up 11 shorthanded goals over the course of the season, tying them with the Avalanche for – you guessed it – last in the league. This problem started very early on as the Islanders gave up their first two shorthanded goals in their home opener against the Sabres on Oct. 7. A key factor contributing to why the Islanders gave up so many goals last season was their style of play. Head coach Doug Weight stressed an up-tempo offensive style that had the team exiting their own zone quickly once in possession of the puck (perhaps sometimes a little too quickly). On defense, he advocated that the team try to keep lanes open so the goaltenders could clearly see shots coming. This is in contrast to conventional wisdom in which players are encouraged to try to block shots from reaching the goaltender in the first place. Despite a style of team play that had them facing the most shots in the league, neither goaltender is off the hook here. Both failed to make the kind of key saves needed to steal a game or two. Both were also guilty of giving up clunkers at times when the team could least afford it. Jaroslav Halak saw the bulk of the work this season playing in 54 games and finishing with an underwhelming 3.19 goals against average and a .908 save percentage. Thomas Greiss fared even worse. Playing in 27 games, his numbers were truly poor with a 3.82 goals against average and an .892 save percentage. They each had one shutout apiece this season. Oddly enough, those were in consecutive games. The Islanders have six defensemen from last year’s team under contract for this season – the three young players mentioned at the beginning of this article (Pelech, Pulock, and Mayfield) plus three returning veterans in Nick Leddy, Johnny Boychuk, and Thomas Hickey. Based on the results this group got last year, it is certainly reasonable to feel some concern for the upcoming season. One telling statistic that is used in the calculation of possession numbers is goals against per sixty minutes at even strength. Although no one actually plays this amount of minutes, the table below does point out the level of victimization each defenseman experienced while on the ice last season. Leddy had a bad season. But he is a mobile defenseman and an important part of the Islanders offense. He led the team in ice time (22:25) and played at even strength, on the power play, and even killed penalties. Perhaps he was relied on a bit too much. He had the worst goals against per 60 minutes at an abominable 4.0. He also had the worst plus/minus rating on the team by far at minus-42. That equaled the 42 points he put on the board on offense. With the changes that Barry Trotz is expected to bring, there should be less pressure on Leddy next year. It is easy to envision him having a bounce-back year. Boychuk was Leddy’s partner on the Islanders top defensive pairing. They played a lot of minutes together against opponents’ top lines. Boychuk shouldered more of the burden in his own end while Leddy worked to activate the offense. He was generally effective in this role but still had the second-worst goals against per 60 minutes at 3.3. Unfortunately, he was limited to 58 games due to injury. 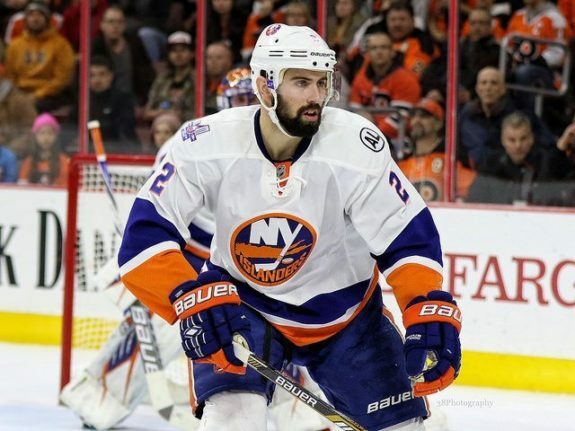 The games in which both he and Calvin de Haan were out of the lineup made it tough for Leddy and the rest of the young defense corps to keep things under control. Boychuk’s health will be important to the team this season. He is not the fastest guy on the ice, but his strong positional play should fit well in the new coaching system. 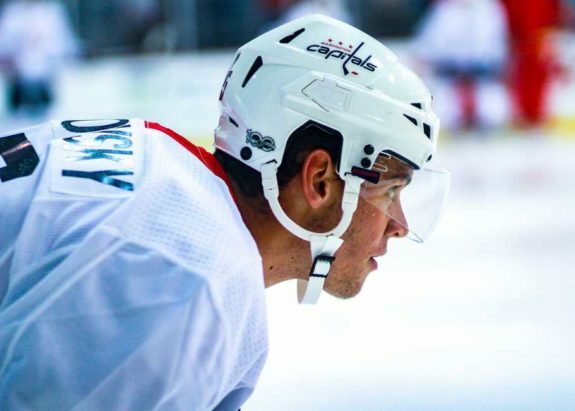 Hickey started the season as a seventh defenseman and was frequently moved in and out of the lineup. Injuries created more opportunities for him as the season progressed, and he performed well. His 2.3 goals against per 60 minutes was best among the defensemen. He is not the biggest guy on the team but he can throw a big hit and did so with regularity. He also had the team best plus/minus rating at plus-20, which is an amazing feat on a team that gave up 293 goals. But perhaps his biggest contribution has been his steadying influence on Ryan Pulock whom he was regularly paired with in the later stages of the season. Hickey seems to be heading into his career peak at the right time. This is good news because Lou Lamoriello just re-signed him to a four-year deal. Even though he had a very brief NHL résumé, Pelech found himself playing top-four minutes for the Islanders last year. He was initially paired with Calvin de Haan at the start of the season and later played with a rotating cast of partners the rest of the way. He acquitted himself very well with the second best goals against per 60 minutes among the defenseman at 2.6. He was steady, but not flashy and he finished the season with a respectable plus-seven rating. Expect more of the same from Pelech in the upcoming season. Ryan Pulock was the Islanders second strongest offensive weapon on the backline behind Nick Leddy. His 3.0 goals against per 60 minutes can be attributed to an uneven start to the season. As the year progressed, Pulock’s game did also. You could see him gaining confidence and taking on a bigger role each night. He finished his rookie year with ten goals and a lot of positive momentum. It is reasonable to expect more good things and continued growth from him. At 6-foot-4 and 224 pounds, Scott Mayfield is a big boy. He came into the league with a reputation of being somewhat of a sluggish skater, but he has surprised his critics by showing some bursts of speed and a few good moves. He is not afraid to use his size, and not afraid to confront an opponent who is taking too many liberties on the ice. His goals against per 60 minutes was in the middle of the pack at 2.9. He can decrease that number by eliminating a few unforced errors. He has value as an enforcer and a depth defenseman for the upcoming season. Having six returning defenseman from the team that gave up 293 goals could cause fans to worry about getting the same result. But things are different now. 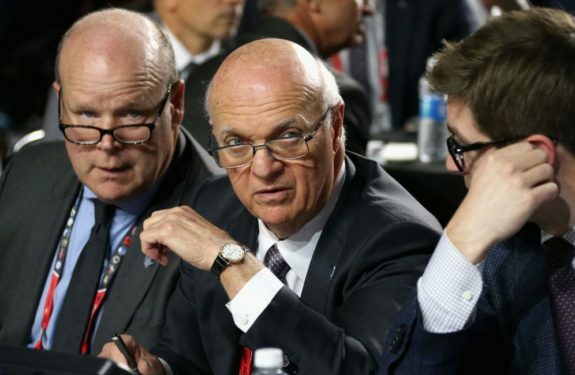 Last year’s general manager, Garth Snow, has been replaced by Hall of Famer Lou Lamoriello. Lou will certainly be looking for ways to add a piece or two to upgrade the defense during the season. And instead of Doug Weight’s questionable style of play, the team will be following a new game plan this year. One that is laid out by new coach Barry Trotz, who just led the Washington Capitals to their first Stanley Cup Championship in team history.